Aaron Taylor-Johnson wears black low cut Converse “Chuck Taylor” All Stars in the film. 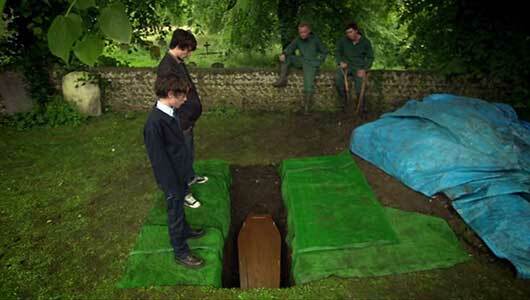 Danny and Jack must deal with the suicide of their mother in Dummy. Death is an extremely difficult thing to deal with. Whether it be the loss of a pet, friend, or close loved one, people deal with loss in a multitude of different ways. Some turn to constructive ways of dealing with their grief and look outward. Others take it much more difficultly and deal with their pain in more destructive fashions. 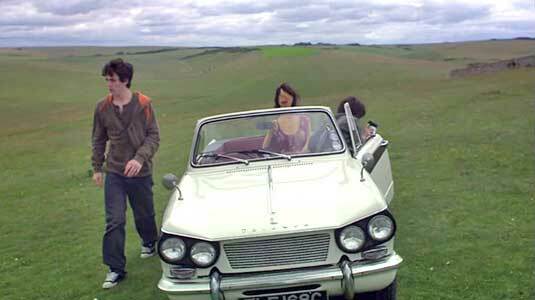 In the 2008 British film Dummy, two brothers deal with the loss of their mother in strikingly different manners. Danny, the older of the two, takes the latter, more destructive route while Jack goes about coping in an odd, rather eccentric way. The product is a heartfelt story that ultimately does not fulfill its unique premise. Danny and Jack with their mother in a happier time. Danny (Aaron Taylor-Johnson) and Jack (Thomas Grant) are two brothers who have been dealt a tough hand. Their dad skipped out on them and their mother Elsa (Therese Bradley) has recently died while they were on vacation. Their mother left a note telling Danny to take care of his younger brother. Danny is a burgeoning young DJ, who has little time for assuming the parental role in his brother’s life. As a result, the demanding and emotionally needy Jack must cope with the loss in his own way. He finds a mannequin and dresses it up to assume the role of his new mother. Danny, on the other hand, fully leaps into his DJing, a new girlfriend Zoe (Emma Catherwood), booze, and drugs. What follows is a clash between their two coping methods that leads them to ultimately come together. Danny courts Zoe at the beach. The film’s premise is indeed unique. Danny’s story is a more typical one, where the rebellious son seeks answers at the bottom of a bottle. Music and partying are what keep him sane, and he’ll keep doing what he knows. Jack’s methods are, unique to say the least. His yearning for affection leads him to seeking the solace of the mannequin, which is subsequently viewed as odd by his brother. The two young actors only provide okay performances, which detracts from the film. Jack is simply annoying and Danny mopes too much. The sad, grieving drunk is a film trope used to full effect here. 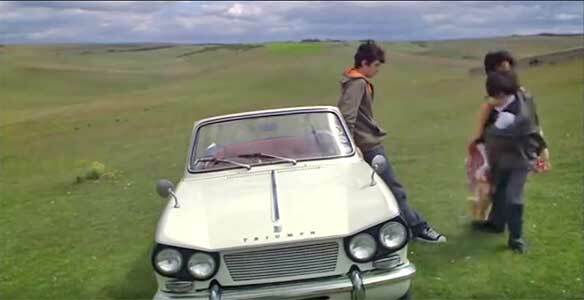 Danny and Jack drive to the English coast with the dummy. Yet, what ultimately does not land is the film’s execution of the premise. The two brothers and their methods of coping do not in the long run make the film enjoyable. With the actors giving okay performances, it’s essentially hard for one to care about the two. Jack’s role is a tad too much and the film falls under that weight. Had more of Danny’s story gotten focus, the overall film would have been much stronger. Jack must decide what to do with the dummy. Closeup of Danny’s chucks when he is seated with Zoe. Chucks are well worn in the film. Aaron Taylor-Johnson in his role as Danny wears a pair of black low cut chucks throughout the film. The camera pans up Danny. Dummy. 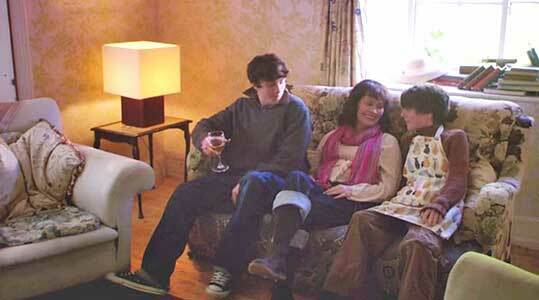 (2008) Aaron Taylor-Johnson, Thomas Grant, Emma Catherwood, Therese Bradley, Moira Brooker. Directed by Matthew Thompson. Categories: Drama, Coming of Age.